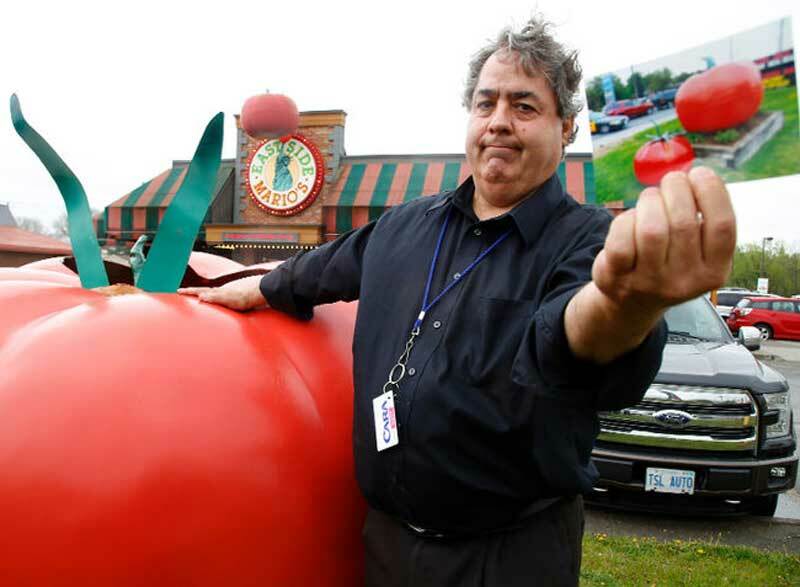 Matt Kraft from Peterborough, Ontario, Canada, wants his giant tomato back. 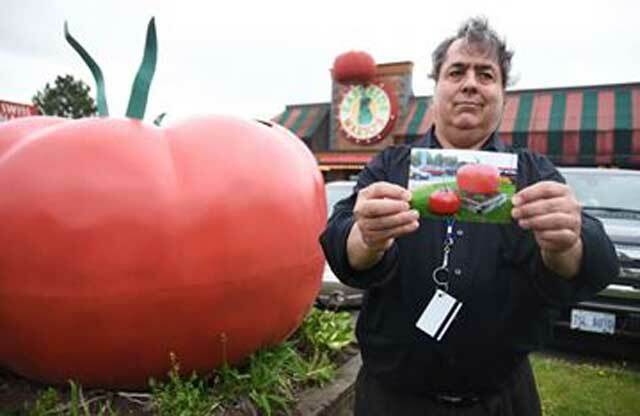 The owner of East Side Mario’s says the large tomato which was sitting in front of his restaurant was stolen more than a week ago. The tomato, one of two at the establishment, was a fixture for more than a year. It was attached with screws to a large wooden frame which holds an even larger tomato. Quick! Somebody play "Puberty Love"! Would you return the tomato then eat something he prepared for you?